Cubic zirconia and created emerald engagement ring in 14K rose gold. 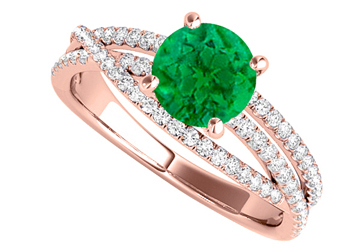 This lovely ring consists of center stone created emerald in prong setting. CZs add a cool glow. 1.50 CT TGW.